Crossing the finish line of a marathon or half marathon is a moment like no other, and the adrenaline and endorphins practically overwhelm you in the coming hours and days – in the case of a marathon, maybe even an entire week. But they eventually run out. And at the same time, you’re likely still dealing with the accumulated physical pain and soreness of the race effort. It can, unfortunately, all come crashing down at once, and leave you feeling not only tired and unmotivated, but sometimes even depressed. To try to combat that crash, proper recovery from a big race is key. Refueling (with a mix of carbohydrates and protein) and rehydrating (with both water and an electrolyte drink) immediately following your race is one of the most important things you can do. Unless you’re in need of medical attention and simply have to sit or lay down, your muscles will be much happier if you keep moving, albeit slowly, after you cross the finish line. And any stretching or foam rolling your aching muscles can stand will aid recovery, as will icing and/or epsom salt baths. Resting cannot be stressed enough. Obviously we’re not elite athletes and we can’t nap whenever we feel like it, or take a week off work, or ship our children off to sleepaway camp so we can relax 24/7 – there are things that need to be done, and although your world feels like it was forever changed by what you just did, the rest of the world is still spinning and moving forward. That being said, do everything in your power to sleep as much as you can, and to not overwork yourself if it’s at all possible. Sitting at a desk all day is actually just as bad as returning to a job that requires physical exertion, and office workers should make an effort to get up and move around frequently throughout the day during that first week after their race. And after a celebratory meal (or two, or even three), focus on healthy, high-quality foods that will give your body what it really needs. When you do return to running, it might feel slow, and somewhat tough, and maybe even a little awkward. 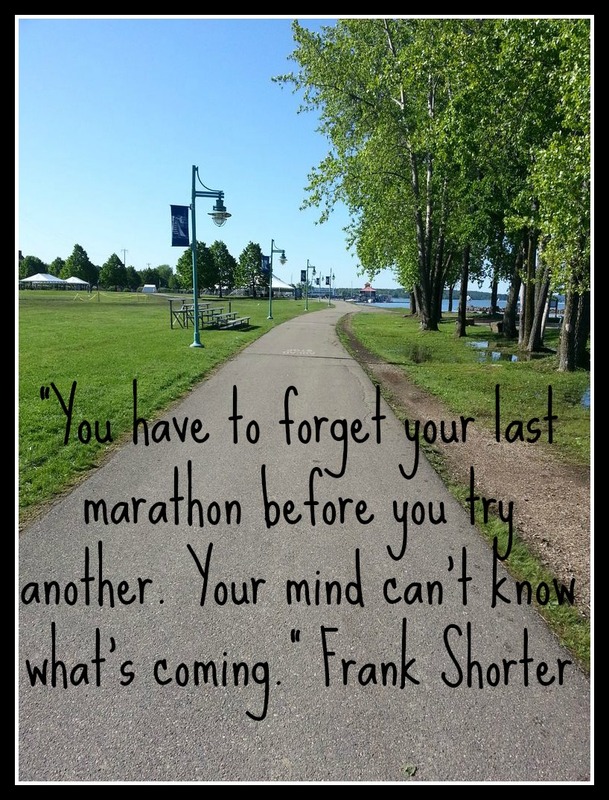 But you will literally ‘find your stride’ sooner rather than later, so don’t worry about those first couple of runs. The old adage to listen to your body rings true here. Respect what your body has just done for you, and cut it some slack. Following a reverse taper is pretty standard – and sage – advice, and these guidelines from Runner’s World are excellent ones. The premise is to run approximately 30% of your weekly training mileage your first week back, 60% the second week back, and then return to a normal weekly training load the third week. 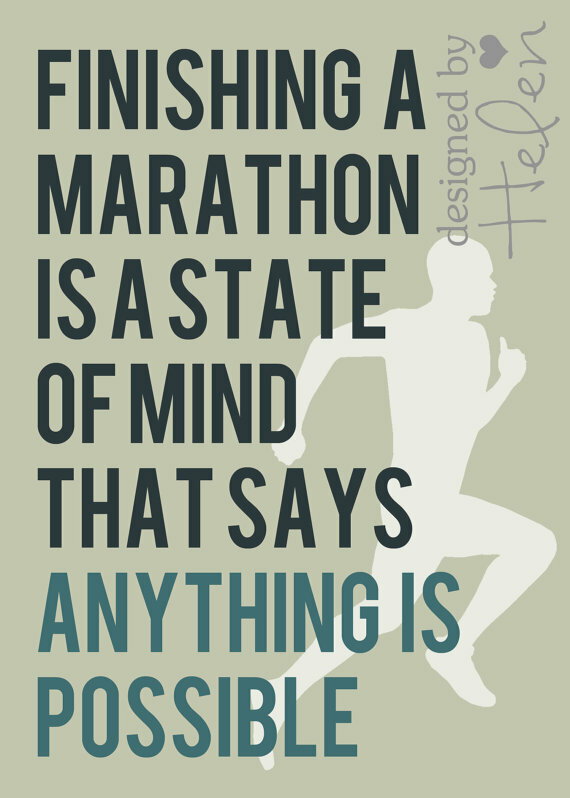 Note that for a full marathon, none of those three weeks should include any sort of speedwork or very hard efforts. Again – be kind to your still recovering muscles and joints. Waiting until your fourth week post-marathon to begin adding in speedwork is the safest bet. For a half marathon, you could begin to add it back in during the third week. Also note that this reverse taper and recovery phase is not the time to skip cross-training. These alternate activities are a great way to promote circulation without the impact of running. Aside from the physical recovery, you’ll also need to figure out how to deal with the emotional aftermath of completing what was likely a months-long journey full of many ups and downs and highs and lows – a journey that probably very nearly consumed your thoughts for weeks and months leading up to race day. Post-race blues are completely normal and should be expected and anticipated. The lack of a huge goal or a training plan to follow can leave a runner feeling somewhat lost or adrift. The most logical response is to sign up for another race, and that response is a good one – but give it a little time, and choose wisely. Although you may feel that training void initially, it’s very possible that after a few weeks you’ll find that easy, no-pressure running is actually kind of enjoyable, and might not be such a bad thing to do for a while. Give yourself some room and some space to think about both your short- and long-term goals, and figure out what races will fit into those plans. Just as tapering for a big race can prove challenging, so can recovering. But if you’re mindful of the steps, and you respect the process, it will work, and you will come off your recovery feeling refreshed and strong and ready to get back out on the road. But even though the memories and the post-race glow will fade a bit, never forget what an incredible thing you’ve accomplished, and let that pride carry you through every mile you run in the months and years to come. This entry was posted in Uncategorized and tagged half marathon, marathon, marathon recovery, race recovery. Bookmark the permalink.